The Mendocino deep seating settee is reminiscent in style and scale of authentic mid-century modern furniture with a more reserved grace that adapts to a variety of tastes. 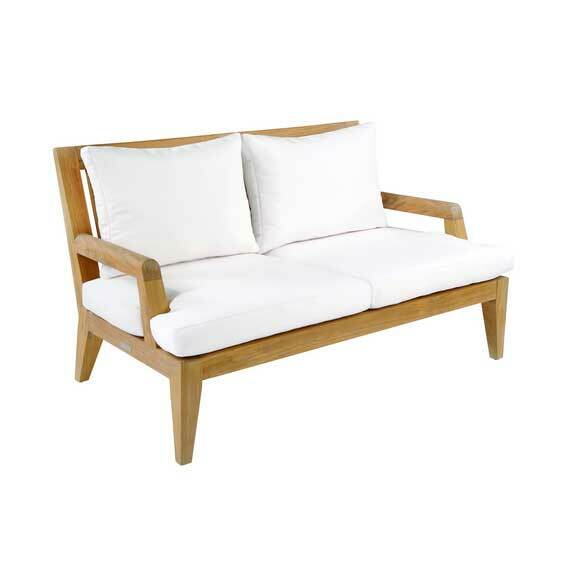 Handcrafted from only the finest solid teak. Cushion/fabric options available.